I've no first-hand experience when it comes to premature babies but my best friend when I was growing up had been a premature baby. Christopher was just 1lb when he was born and his mother would often tell our friends and our parents just how small he was and what an emotional time it was for her. We were told his story a good twenty years ago now and it doesn't really compute back when you are a child, you can't really comprehend what you are being told and you can't understand the severity of it. Now that I'm a parent myself I can totally sympathise and can only imagine how difficult the experience must be for parents of premature babies. There’s approximately 60,000 babies born prematurely here in the UK every single year which works out at roughly 1 in 11 babies, higher stats than I initially imagined. Medical science is improving year upon year which means these little fighters have a better chance of survival than ever before. It goes without saying how delicate these babies are, they all have their own health requirements, but one thing they all have in common is their small frame and delicate skin. As part of the Pampers Baby Board I was told how Neonatal teams spoke to the Pampers team directly and let them know that the nappies which were available didn’t fit the smallest of babies, and that they needed to cut and fold them to try to make them fit as best as possible. This isn’t ideal as it can cause discomfort for the babies and even get in the way of their legs and hips developing properly. With all that they are dealing with, they should be able to benefit from having a nappy which fits correctly and is comfortable for them! 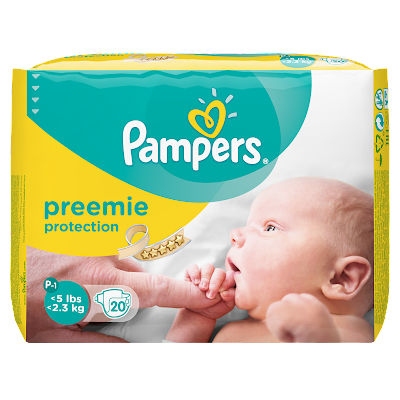 This is where Pampers come in, introducing the new Pampers Preemie Protection range. They are their smallest ever nappy and to put the size into perspective it's so small that it can fit inside the palm of your hand. The P3 nappies are designed for babies which weigh less than 1.8lb/800g. 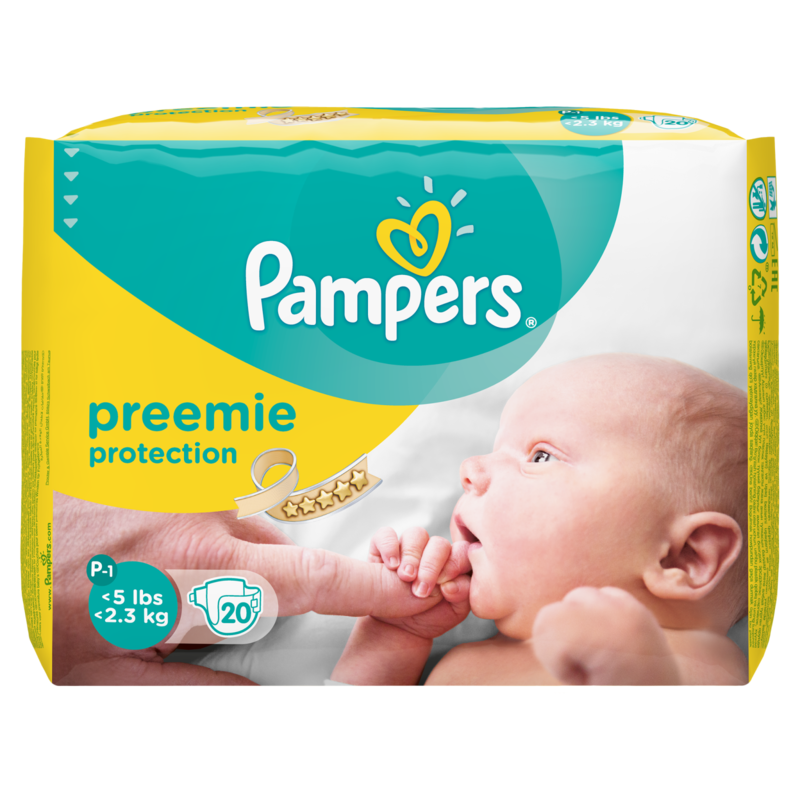 Not only have Pampers created these wonderful nappies which will help so many babies, families, and nurses, they are also donating 3 million of them to UK hospitals and Neonatal Units. Pampers is also working closely with Bliss, the UK's leading charity for babies which are born prematurely or sick, to support them and their families. They are asking parents like you and I, to share photos on Twitter, Facebook and Instagram of our babies with a raised fist to celebrate and support the incredible and inspiring fighting spirit that premature babies show every single day. When sharing your photo use the hashtag #powerofbabies and Pampers will donate £1 to Bliss for every photo shared. Are you going to show your support? - This post was brought to you in collaboration with Pampers. I am Delighted to read of the Support for Premmies (Premature Babies). Well Done! Pampers and Bliss. It can be a very emotional time for any new parent. But parents of a premature baby ( or babies, as multiples i.e. twins, triplets etc.) they can be faced with a variety of challenges. Yet may want to care for their child, and find that even that is a challenge for them and be a time when they need to be patient, accept the situation which has occurred, and listen to the professionals in regards to their baby's health condition and care needs. To have appropriate and fitting items for their child is imperative. What an Emotional time it must be for them, Welcoming their child yet being concerned for the child's health and Wellbeing. Maybe dealing with others providing care till they are able to become physically involved in providing care for their own baby.